That’s really interesting. Particularly interesting is the mumps one, where mumps remains highly prolific for some time after the vaccine was introduced - I wonder if it wasn’t in widespread use until the 70s? The smallpox and pertussis graphs seem to suggest the vaccines have no impact given the year they say the vaccines were introduced, but again I assume that the point at which the disease rapidly declines is where there was a systematic effort to ensure widespread vaccine coverage. Yeah, it would be interesting to see data on vaccine take-up rate in each state and see how that compares to the cases. 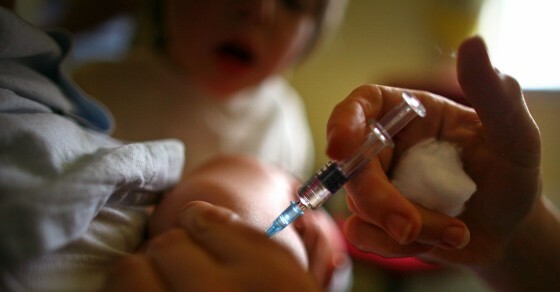 Many who seek to persuade anti-vaxxers view the issue as a simple one of scientific education. Anti-vaxxers have mistaken the basic facts, the argument goes, so they need to be corrected. This is likely to be ineffective. Anti-vaxxers may be wrong, but don’t call them irrational. Rather than lacking scientific facts, they lack a trust in the establishments which produce and disseminate science. If you meet an anti-vaxxer, you might have more luck persuading them by trying to explain how you think science works and why you’ve put your trust in what you’ve been told, rather than dismissing their beliefs as irrational. Brilliant blog link thank you. Throws light on why I never get ANYWHERE with the Multiple Chemical Sensitivity brigade. I ask for evidence, they send me You Tube videos. We get nowhere. Then they complain I am upsetting them! I get irrationally worked up about people who willingly go against scientific evidence such as anti-vaxxers, those who use any kind of woo, and a load of stuff I see from my friends who are parents (such as a generally down to earth person putting an amber necklace on her baby - ffs). I usually manage to step away and leave things, sometimes make comments I then regret and more recently try to engage in discussion, but I find it terribly difficult to understand why they take their particular viewpoint. It is extremely interesting to look at what’s behind this sort of thinking. A massive study of 95,000 children finds no link between MMR vaccines and autism spectrum disorders.